Donna M. Sims joined Sheehey Furlong & Behm in April 2016 as a legal assistant in the litigation practice group. She was promoted to a paralegal in August 2017 where she continues to support the litigation team. In May 2009 she received her Bachelor’s Degree in Criminal Justice from Castleton State College, now Castleton University. 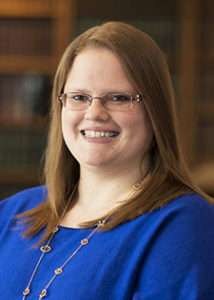 Shortly after graduating, she began her career as a Docket Clerk with the Vermont Superior Court, Chittenden Civil Division, serving as the Motions Clerk until joining Sheehey. Her knowledge of the Vermont Judiciary serves as an essential asset to the firm.